Pie might just be the most perfect baked good. But let's be honest here: Unless you're a a master baker or Marie Callender's long-lost granddaughter, it's also SUPER easy to screw up. Especially when it comes to pie, a dish that seems simple until you're covered in flour with only a burnt husk of crust to show for it. Los Angeles is home to many an excellent pie shop, but when Cake Monkey burst onto the scene, it threw down the sticky-fingered gauntlet. The cherry almond pie is the stuff of legends, while the cider-roasted apple pie gets an unexpected savory kick with the addition of cheddar crust, officially diffusing the weird looks you get if you’re one of those people who melts cheddar on apple pie. Oh, and it you really want to blow some minds, their Pop Pies -- basically fancy Pop Tarts -- can be delivered too. 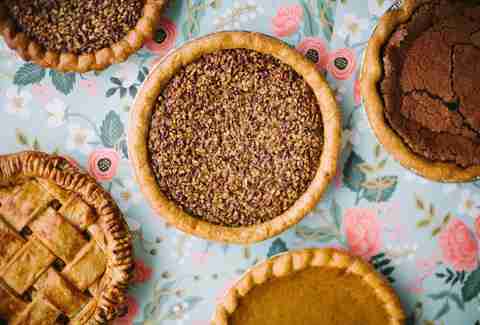 The Elsen sisters have made a huge splash in the Brooklyn baking scene on the strength of their incredible pies, honed in the cold of their motherland South Dakota and brought to stunning life out east. They’ll ship pies pretty much everywhere, meaning you can get a taste of their Bittersweet Chocolate Pecan, the comfort-food-plus Salted Caramel Apple, and the Black Bottom Oat anywhere… even South Dakota. 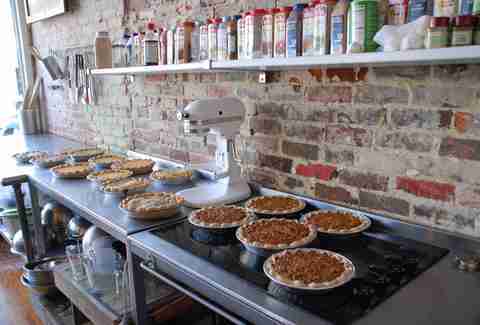 These are pies made with love and a commitment to local ingredients… well, local to Brooklyn. It’d be weird if they were sourcing ingredients from the places they’re shipping. 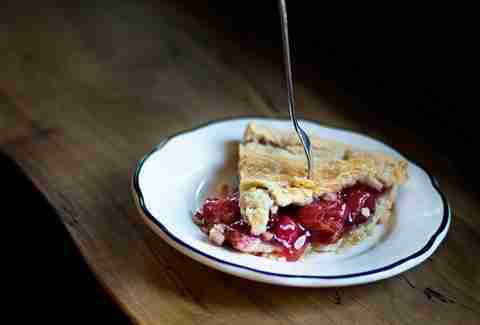 GTPC takes its name from a bay that’s world famous for its cherries, so it stands to reason that you should absolutely get one of its legendary, crumbly topped pies, a gallon of ice cream, and a pillow. 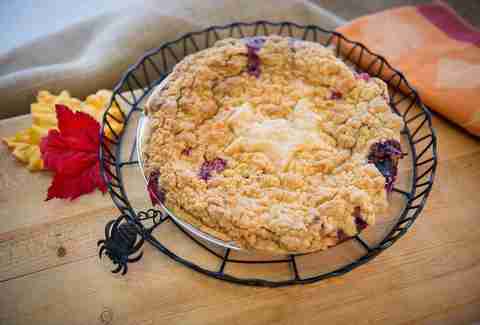 And while that pie is wonderful and perfect on its own, there are a bazillion other options too. Luckily, there’s a pie of the month club, which you should 1,000% join, because pie is too damn delicious for once a year… especially the there are chocolate cream pies, peanut butter chocolate cream, and every fruit imaginable packed into the crust. The world has become obsessed with celebrating random holidays based around extremely specific food -- did you get your mom a card for National Lobster Bisque With A Side of Texas Toast Day yet? Yet sometimes, a fake food holiday and a real one can work in tandem. Case in point: Irish people love pie. And Pie Day is right before St. Patrick's Day. Luckily, this enterprising St. Louis-area bakery made the connection. 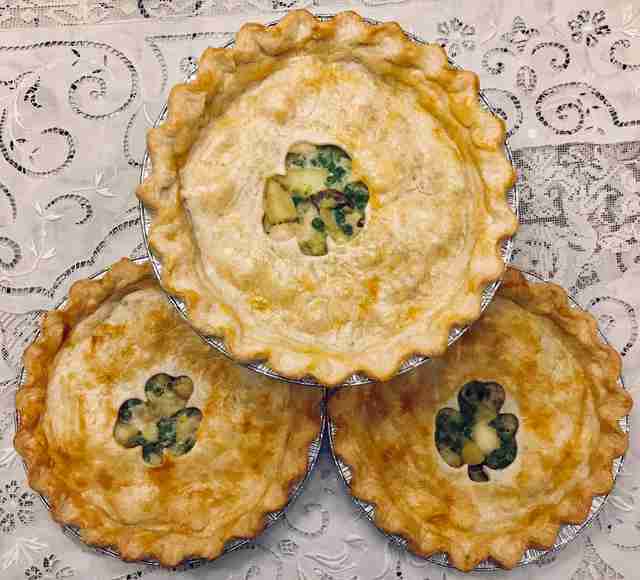 They’ll ship you such Emerald Isle favorites as an Irish Catch pie filled with leeks, scallops, mushrooms, or cram an entire meal of corned beef & cabbage into crust. There are other savory options like fresh tomato & cheese or bacon, mac & cheese, plus sweet stuff like gooseberry, blackberry, and salted caramel/apple. And considering you just need to click to get one, you can crack that second (or fifth) Guinness and wait for the pie to come to you. 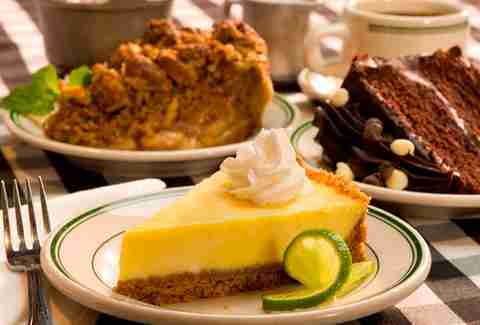 Key lime pie is perhaps the greatest thing to come out of Florida, with respect to Sidney Poitier, Faye Dunaway, and, um… look, Key lime pie is super delicious, and perhaps the most famous and delicious variation comes not from the Keys, but from Miami. For 105 years, Joe’s has been the king of crabs, but also the king of Key lime, and now that they ship all over the US, they can help add a little sunshine to even the darkest of uncomfortable family dinners. 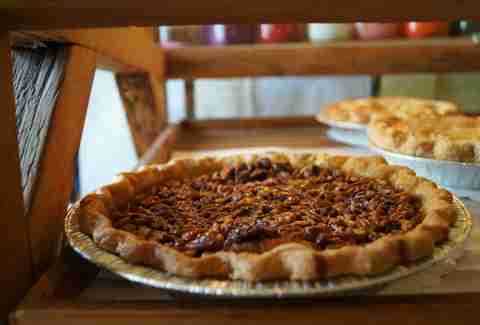 One of the very best bakeries in the entire country, Muddy’s slings the kind of amazing pies that cool on the windowsills of our hearts. 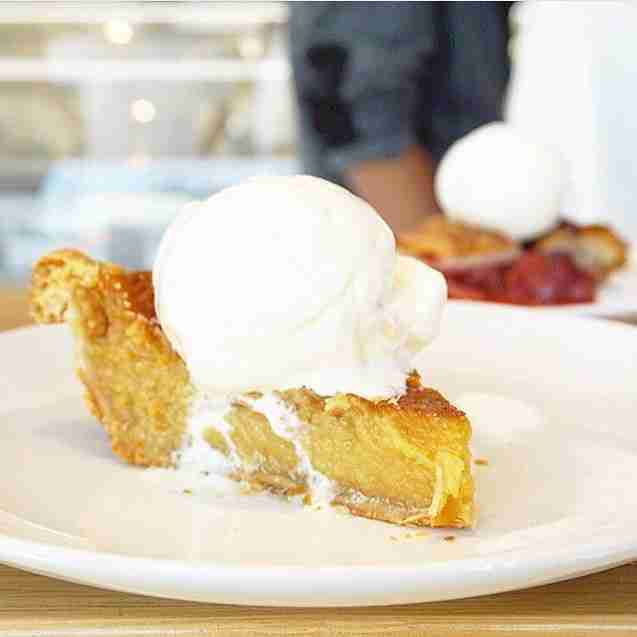 Now, thanks to the folks at Goldbelly, you don’t need to make a pilgrimage to Graceland to get a taste, with pies like the ultra-rich Cocoa Chanel Chocolate Chess Pie, the Nancy’s Boy Coconut Chess Pie, and a show-stopping Punkin’ Pie on offer. And since it’d be a crime to skip the cookies, they also offer the pies as part of packed baker’s boxes. Or, as Elvis would call them, light snack boxes. 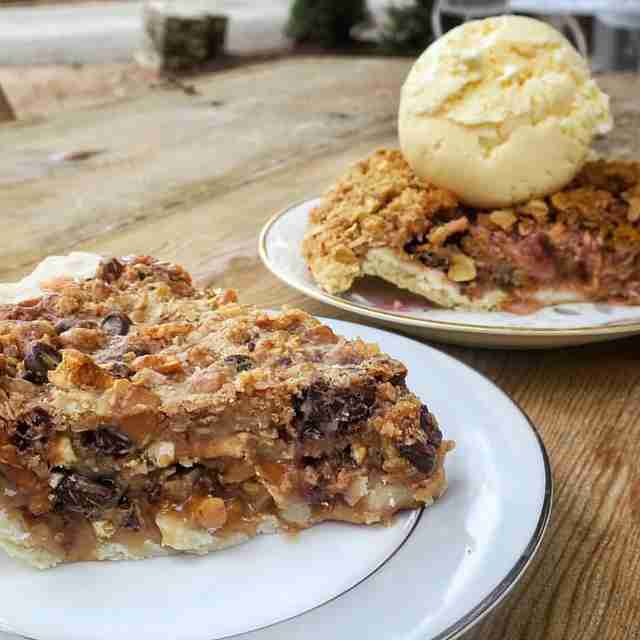 It takes an awful lot to climb to the ranks of the best pies in the South, but Pie Lab rises to the occasion beautifully not only by creating insanely delicious, often unexpected chef-driven pies, but by doing so in a community-focused restaurant that really hammers home the idea that pie brings people together. You won’t get to be part of that if you get it delivered, but you’ll feel the love in every bite, whether you opt for the Coach’s Favorite Oatmeal Cream Pie -- a creation that really goes a long way in making Little Debbie seem tiny -- or a carrot cake pie complete with cream cheese icing, the immaculate apple crumb, a rich brown sugar/buttermilk number, or a take on pumpkin pie that brings things up a notch courtesy of praline on top. This is one of the best pie spots in the South, which might make it one of the best on the planet. 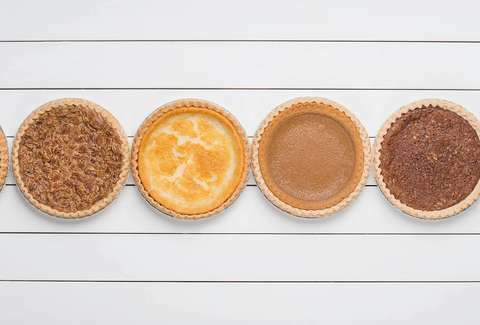 Picking the right pie at a place like Pete’s can be an exercise in deprivation, what with chess pies like Lemon Poppy Seed, Black Bottom Almond, and Black Currant vying for precious real estate in your stomach. The beauty of this delivery is in its size: They offer up a crate of 8-12 mini pies, allowing you to really dominate the dessert spread. Or just throw a shitload of pie in your own freezer, if you’re not into sharing. We wouldn’t blame you. Generally, when somebody presents you with something with “trash” in the name, it’s not the most appetizing. But the folks at Royers in Round Top -- which, coincidentally, will be your new nickname after you become addicted -- have become world famous on the strength of their Texas Trash Pie, which makes the choice between candy and pie easy by loading its crust with graham crackers, pretzels, caramel, chocolate chips, coconut, and more. 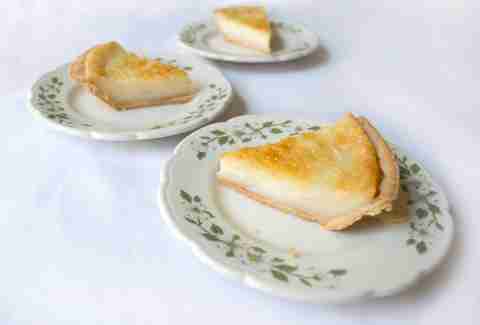 They make a variation with white chocolate too, but don’t skip the Butterscotch Chip Pie. It makes a great dessert for, well, dessert. Have you ever chomped into a juicy carnitas burrito outside a taco truck late at night and thought, “you know, this would be so much better if the tortilla was a pie?” Of course you haven’t. That's a highly specific thought to have... unless you’ve been to the San Diego Chicken Pie Shop, in which case, that's your nostalgia talking. The shop will gladly ship you an eight-pack of the show-stopping chicken pot pies for about $60, but might we recommend splitting that order to include four of the pitch-perfect chicken numbers and four of the carnitas version, which come packed with the succulent, fatty pork. Will it forever render a carnitas burrito insufficient? Nah. Will it make you ponder stuffing barbacoa, birria, or lengua into a crust? Absolutely. 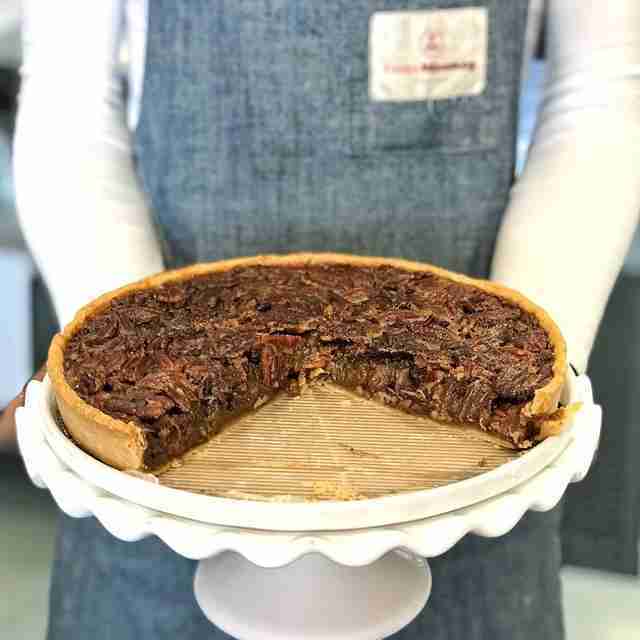 Two Fat Cats is one of those adorable, small bakeshops that specializes in the old-school ideal of pie-making, working with classic flavor combinations and honing them to perfection rather than trying to reinventing the pie tin-shaped wheel. Basically, when your dorky friends go on fall color tours of the NE and talk about charming pie shops, they’ve got a place just like this on their minds. Deliverables here includes one of the greatest Strawberry Rhubarb pies in the universe, plus a Maine apple number that is never better than in the fall. It's the kind of bakery you think of when the colors are changing and New England’s winds take on that brilliantly crisp… JESUS KAREN STOP IT, WE KNOW IT”S PRETTY UP THERE OK?! There are few foods more iconic in Indiana -- sorry, St. Elmo’s shrimp cocktail and pork tenderloin sandwiches -- than the glorious, rich, tooth-numbingly delicious sugar cream pie. 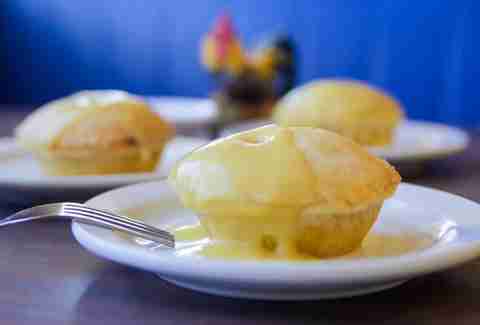 Wick's has built an empire on these custardy delights, and for good reason: Nobody makes them better. If you’re a Hoosier far from home, this will bring you right back to the tables of yore. But a case. And maybe add a German Chocolate pie for good measure. Andy Kryza is a senior editor at Thrillist whose favorite food is pie, in case you're looking to send him a really great birthday present. Follow him as he stalks mailmen with delicious-smelling parcels @apkryza.